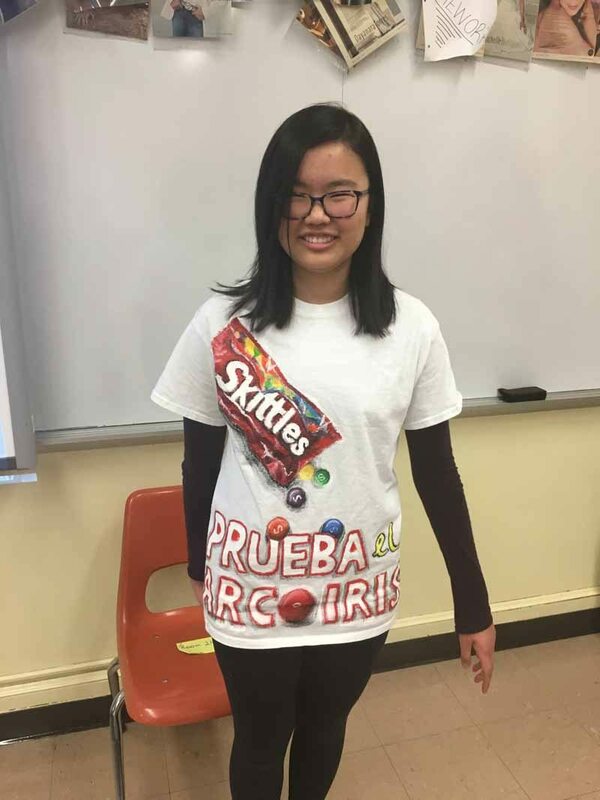 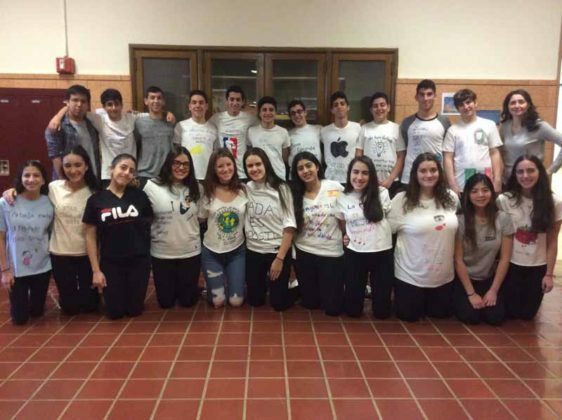 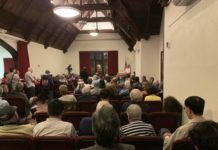 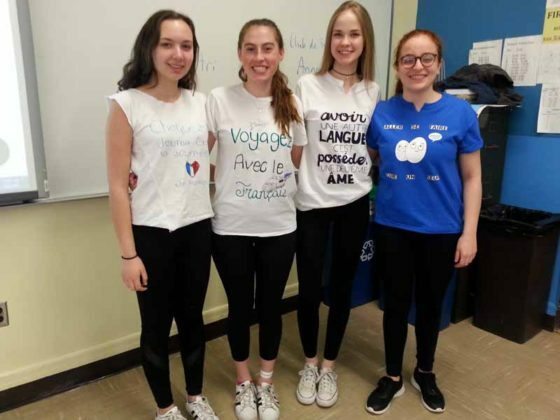 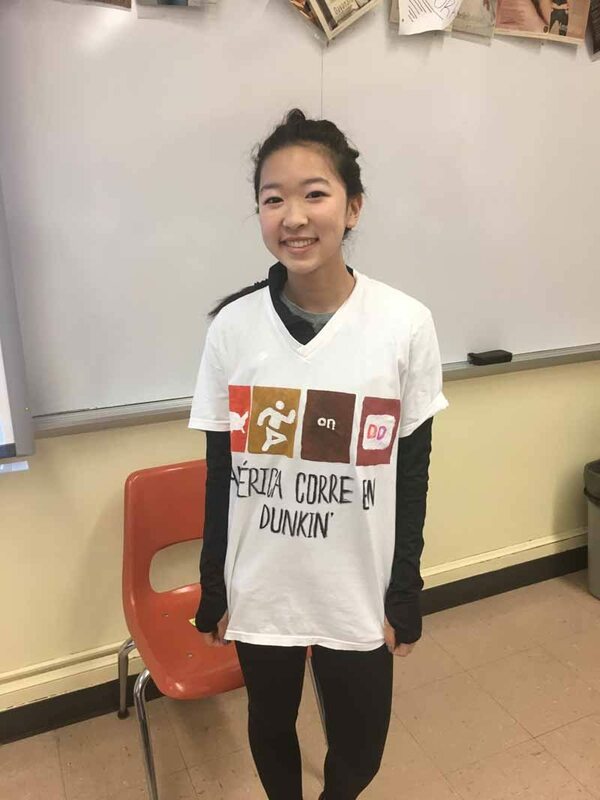 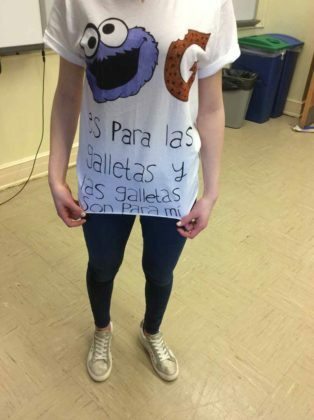 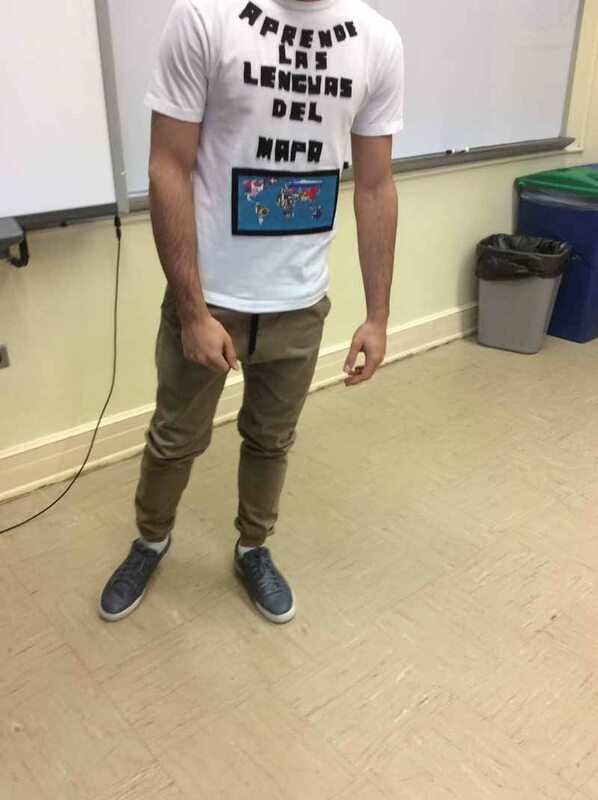 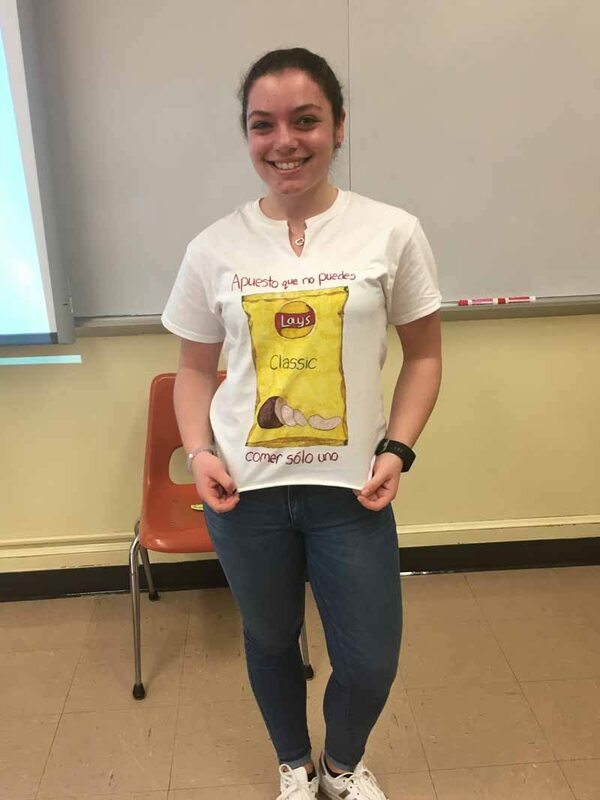 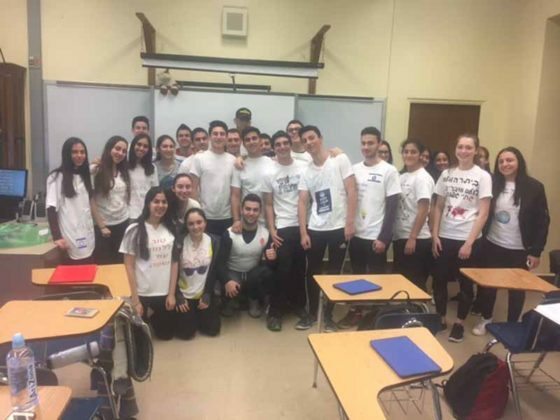 The 10th-grade level Languages Other Than English classes of Great Neck North High had an extremely creative project for Foreign Language Month this past March. 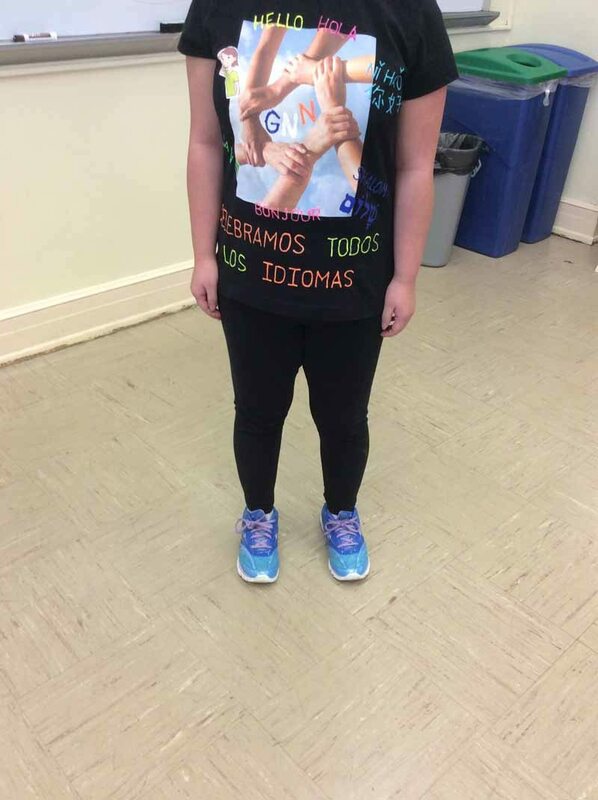 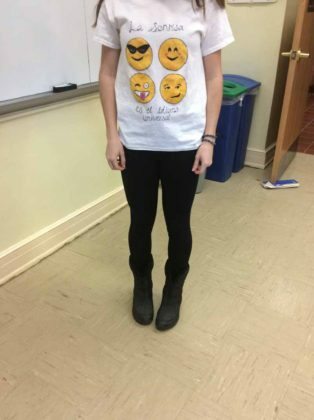 The students made T-shirts with famous slogans or sayings such as “Just Do It” or “I’m Lovin’ It” and translated them into Spanish, French and Hebrew, depending on which language they study, along with illustrations on the shirt. 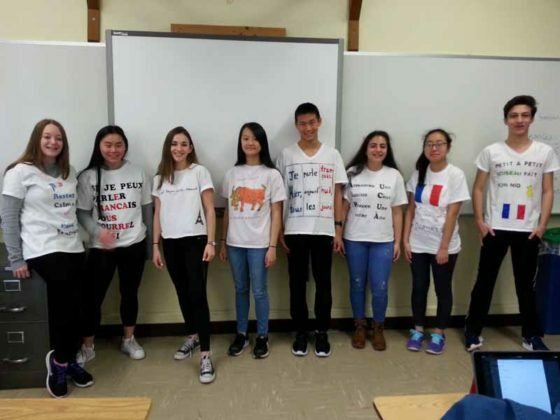 The sophomores wore the shirts all day to celebrate and spread the word about Foreign Language Month. 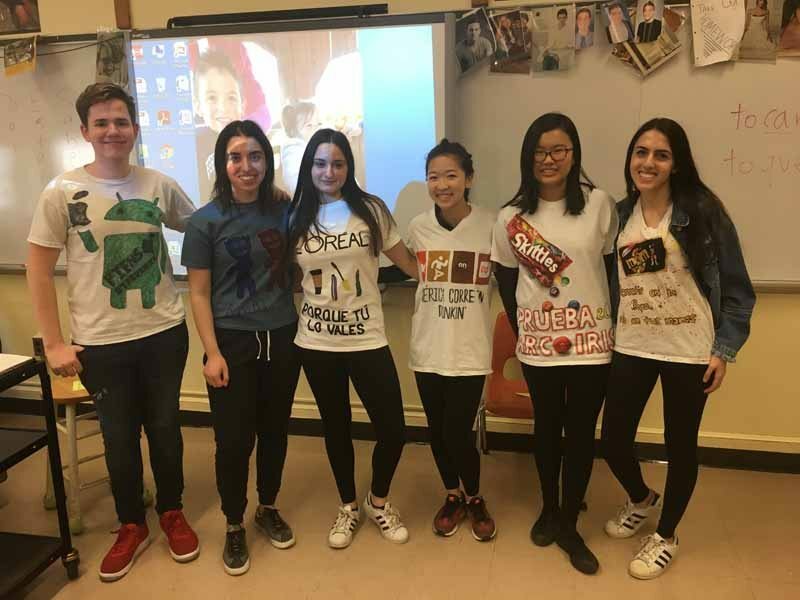 The products of this project were very impressive, with students using intricate details on their tees and revealing their hidden artistic talents. 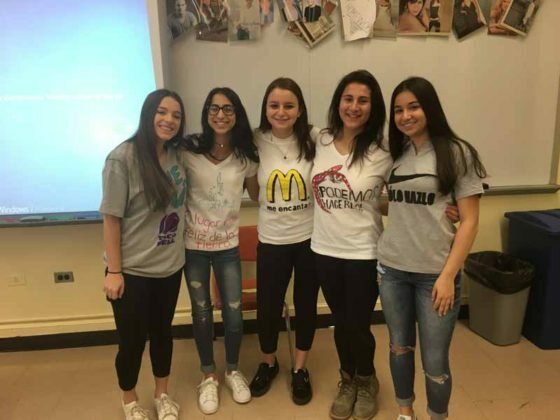 Teachers remarked that this year’s creations were some of the best they have ever seen, and applauded students for the amount of time and effort they devoted to making their projects so great.